This June 2011 file photo shows grizzly bear No. 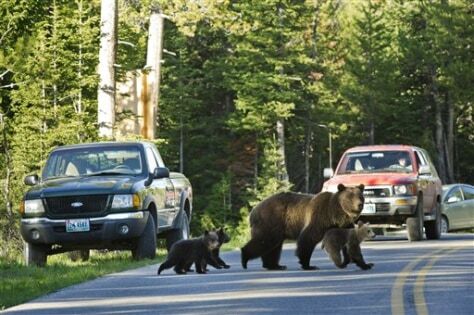 399 crossing a road in Grand Teton National Park, Wyo., with her three cubs. At nearby Yellowstone National Park, visitors can now use their phones to learn about wildlife sightings.